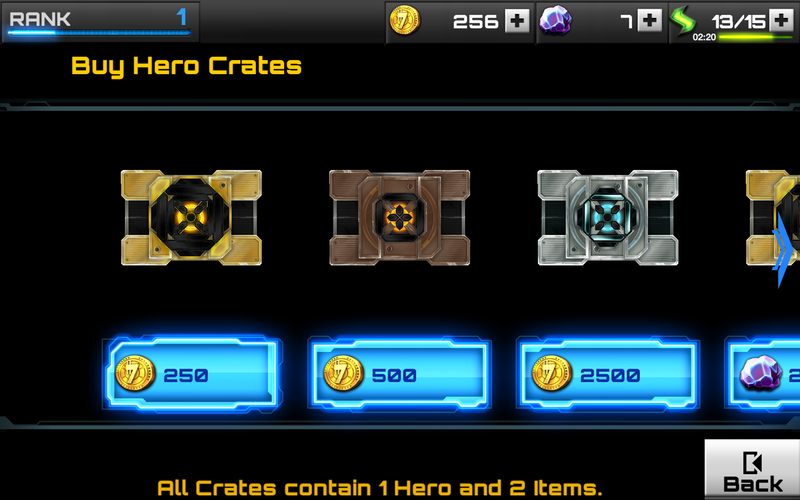 Collectable card battle games are incredibly popular on the Play Store and its mobile contemporaries, perhaps only outnumbered by various Bird ripoffs of the Angry and Flappy variety. 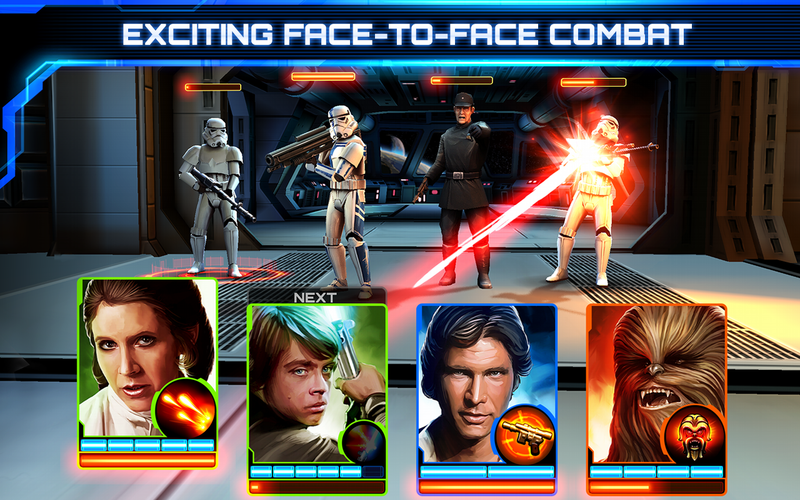 Now you can get your tedious, IAP-riddled card action on in a Star Wars flavor, because Assault Team is available in the United States (and probably a lot of other places as well). For the one guy who's been patiently waiting since the Australian test release, this is very exciting news. 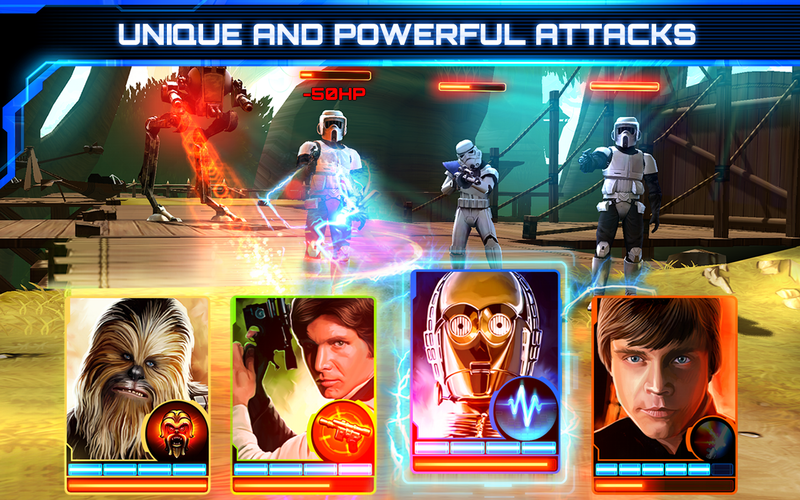 Star Wars: Assault Team lets you create squads of fighters with various weapons and attacks, all of them based on Star Wars characters and elements. 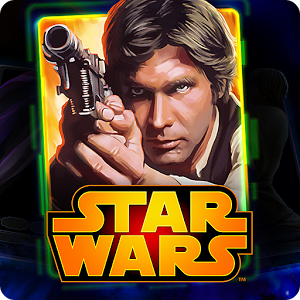 The notability of some of these characters is questionable - while you can fight with Han Solo and Boba Fett in your deck, you can also use C3PO or a Tusken raider. Cards can be upgraded by leveling them up, and you can use items and weapons for various extras and stat boosts. All this can be applied to either a very basic story (lots of 3D pew-pew action and prequel-grade text dialog) or multiplayer battles. 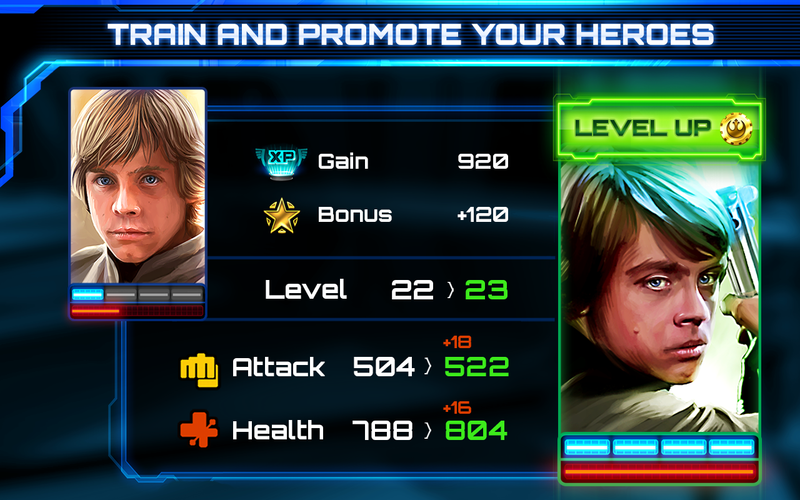 All that said, please don't play Star Wars: Assault Team. 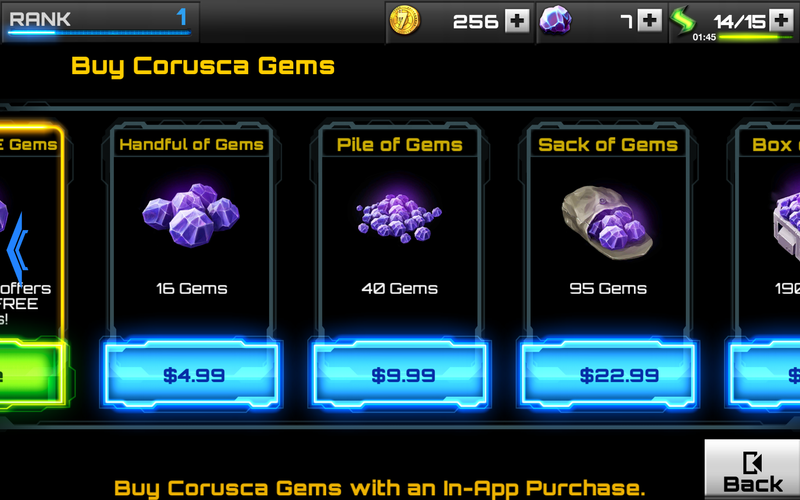 It uses the worst of the worst of in-app purchase gimmicks, including level grinding, two kinds of currency, pay-to-win randomized card packs, and a time-based energy system. For all the technical polish that comes from Disney money, this is almost a textbook lesson in how to extract money from unwise gamers and/or piss off people who just want to play. There are a few decent card games on Android, like Card City Nights, that you should consider instead. For a look at a free-to-play card game done right, check out Blizzard's Hearthstone - it's available on PC and Mac, and it will be coming to Android eventually.